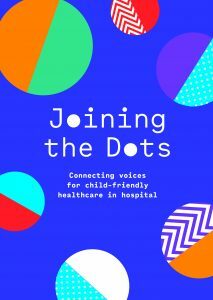 Joining the Dots is an innovative joint initiative by the Ombudsman for Children’s Office and the Children’s Hospital Group Board with the three children’s hospitals in Dublin – Our Lady’s Children’s Hospital, Crumlin; Temple Street Children’s University Hospital; and the National Children’s Hospital, Tallaght University Hospital. Implemented in the three children’s hospitals in July and August 2017, Joining the Dots sought the views of children, young people, parents/guardians and hospital staff and management on the delivery of services to children and young people in hospital. The initiative sought participants’ views on a range of issues that relate to children’s rights under the UN Convention on the Rights of the Child and concern different rights that children have in healthcare settings, including hospitals. 2,530 children, young people, parents/guardians as well as hospital staff and management in the three children’s hospitals took part in Joing the Dots by completing a questionnaire. A final report and a summary of the results were launched at a special event on 20 June 2018.